Plays better than a 5C, much more comfortable rim, slightly shallower than a 5C but not as shallow as a D cup. The 26 drill really opens this piece up. Somewhat reminds me of the old Severinsen Jettones but with better rim and more open cup. You can bring down a wall with the core this thing puts out. I also have To mention how great ACB is. The piece was shipped as soon as I ordered it. ACB Fabrication 5: too generic a name for such an amazing mouthpiece! I've been playing exclusively on ACB mouthpieces for several years now, starting out on an ACB 3C before moving to Trent's 3CS model. I've been a bit curious about his Fabrication line since they first came out and happened to find a Fab 5 in like new condition for really cheap so I decided to give it a shot. Boy, am I glad I did. Immediately I felt like my sound just had more life to it and more efficient, something about the custom throat/backbore that Trent designed on this piece is perfect for the way I play. Also, the custom blank is just heavy enough to give you a warm and broad sound but light enough to remain responsive and ringing in all registers. 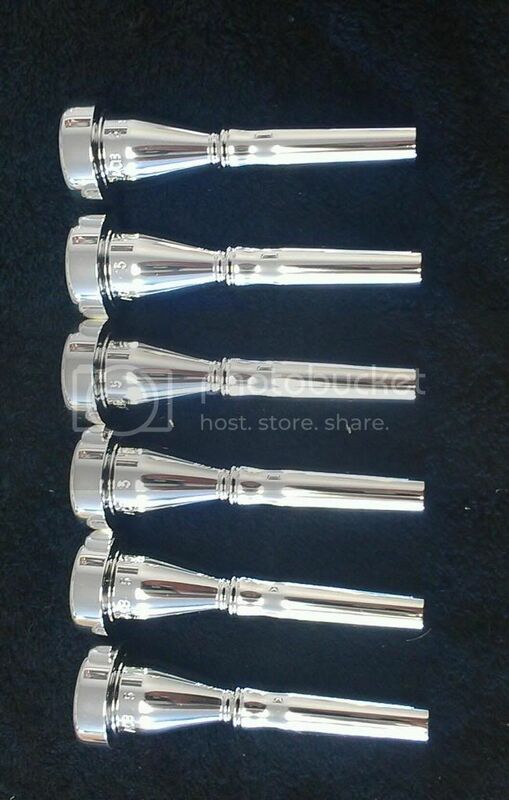 Don't worry that the mouthpiece is called a "5," the diameter is stated as .650 which is the same as the ACB 3CS. Without question, the Fabrication 5 is one of the best values on the entire market, under $70? I've recommended this to several students coming off a Bach 7C or 5C and they all love it. 5 enthusiastic stars!!!!!!!!! 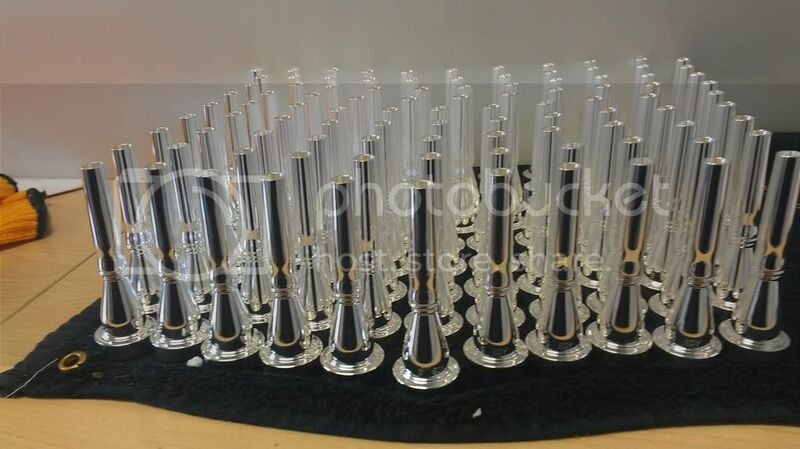 From www.trumpetherald.com "My ACB 5 arrived yesterday, and I had an opportunity to play it at my Concert Band rehearsal tonight. I haven't been able to put much time into playing lately due to family "stuff," so my chops are a bit out of shape. In my opinion, Trent has a real winner in this mouthpiece! The rim is very comfortable, and the undercut of the cup allowed my lips to buzz even when I got tired. The cup is slightly deeper than my Curry 7M, but it didn't affect my (limited) range. I find that the ACB 5 seems to provide a very small bit more resistance than the Curry 7 pieces, which seems to work well for me. Trent...do I detect a bit of "V" at the bottom of the cup? I was able to produce a beautiful singing tone when playing a solo of "I've Grown Accustomed to Your Face," but was also able to brighten up the sound when needed. The ACB 5 is far better for me than either the Bach 7C or Bach 5C. I'm going to continue playing this piece to get a better feel for it as my chops get back in shape. Trent...Thank you! 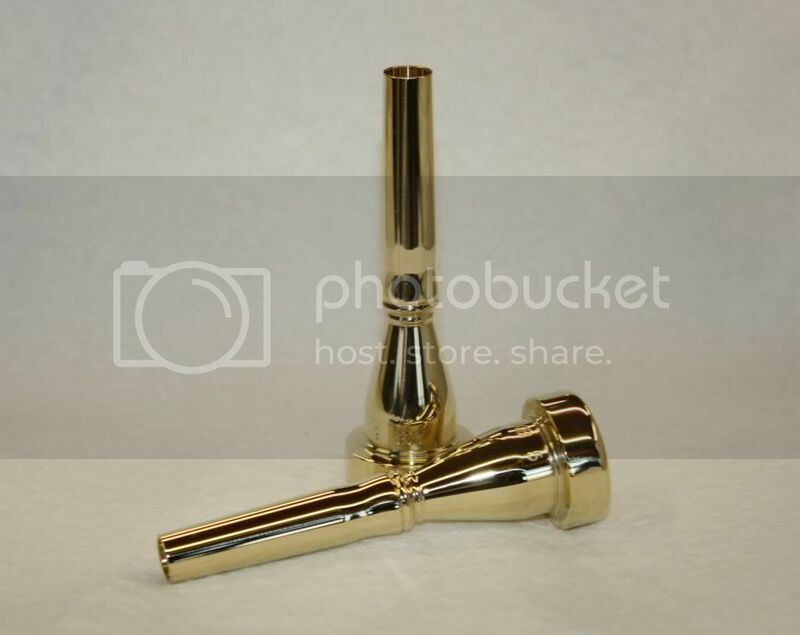 Great mouthpiece! Any plans on a slightly shallower ACB 5 model for those times when brighter is better?" user GregPlo Thanks Greg for the great review!